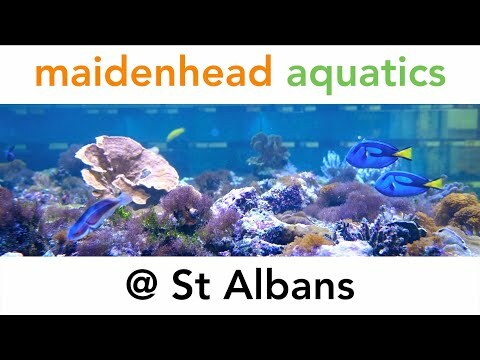 Completed in May 2005, this flagship store is Maidenhead Aquatics' largest. With a little less than thirty thousand square feet of retail space there really is something for everyone! The fish room is probably one of the largest in the country and at three thousand square feet it is as large as some entire aquatic stores. The room is dominated by a 8000 litre Marine fish display aquarium. There is in excess of fifty thousand litres of water in four hundred and fifty aquariums, on eleven, independently filtered systems. This allows for a dedicated system for Discus and Angels, a system for wild South American fish such as Corydoras, Tetras, Cichlids and L-number catfish, and a system for those slightly more delicate dwarf cichlids, Killifish and Cardinals (which are predominantly European tank bred.) There is one system for African cichlids and three for the more usual community fish. There are two marine systems, one for fish and one for invertebrates with both boasting an amazing display of marine life. Whether you want the rare and unusual, or the more run of the mill species, they are stocked. 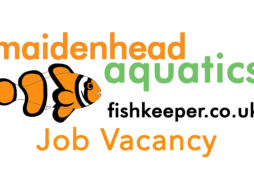 The site is called the Water Garden centre and is aimed at extending Maidenhead Aquatics' established reputation for quality livestock into the water gardening side of the hobby. There is an unrivalled selection of DIY and self contained water features, and one of the largest selections of natural, stone monoliths in England. If you want inspiration there is nearly 100 feet of working displays of waterfalls and monoliths. We have a great selection of English pond fish and Japanese Koi housed in both indoor and outdoor ponds, totalling over 70,000 litres including a 34,000 litre indoor show pond. You can even purchase food to feed the Koi! In Season we have a massive selection of high quality Dutch Pond Plants and Lillies. Brands stocked include : Oase, Hozelock, Laguna, Fluval, Aquacare, Aquamanta, Greenseal Pond liner, Seashell Aquariums, Superfish, TMC, Vitalis, Tetra, Blagdon, Evolution Aqua, Colombo, Red Sea, Biorb, D & D to name a few. 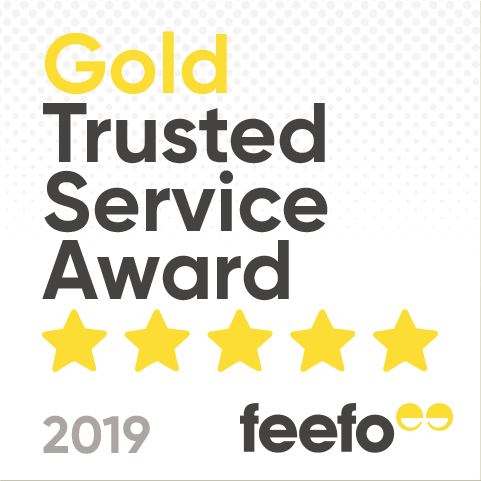 On site are other companies that provide a vast selection of rocks and aggregates, fencing and turf for all your hard landscaping requirements. You can also make a fun day out of a visit to the St Albans store, with our new coffee shop and FREE children's soft play area.